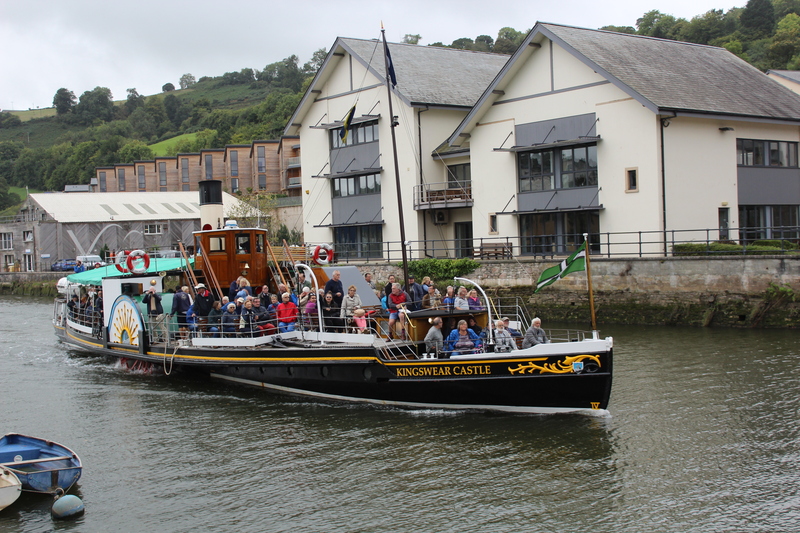 Kingswear Castle made her last trip of the 2018 season between Dartmouth and Totnes on 18th September. 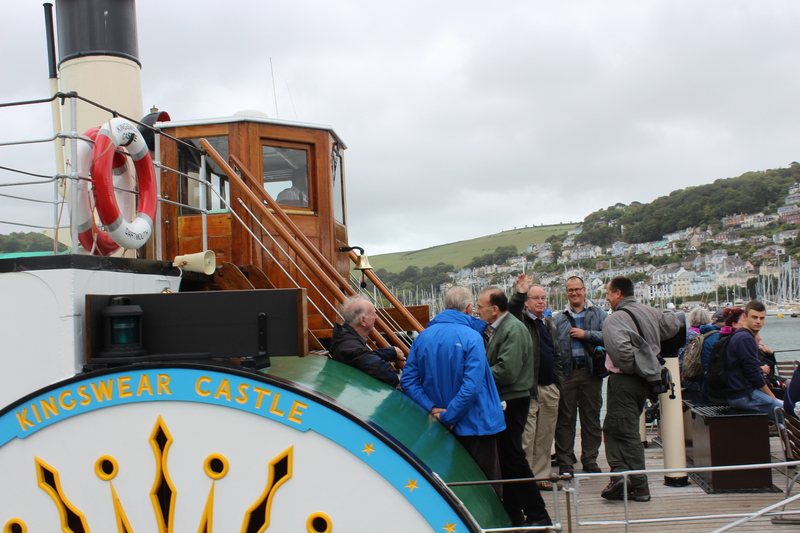 Jeremy Gold and John Megoran aboard Kingswear Castle before leaving Dartmouth for Totnes at 11.45am. Jeremy Gold's contribution to Kingswear Castle has been vast over 38 years in so many ways, many of which have been largely unseen but nonetheless crucially important. 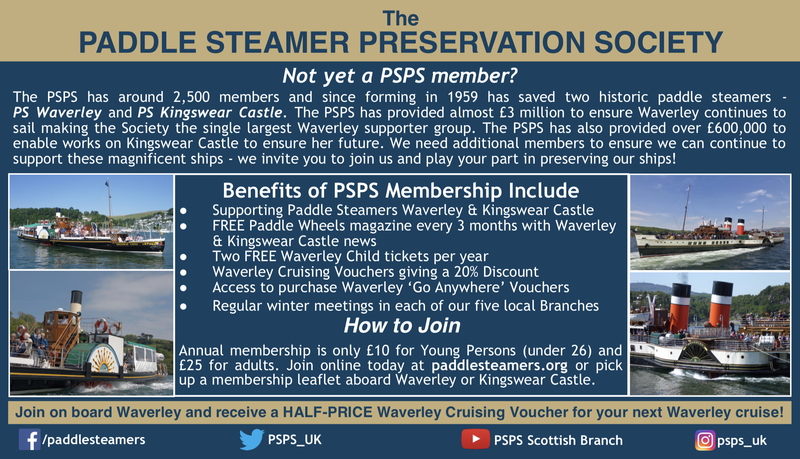 His quiet intelligence, unflappable nature and sage advice have made a real difference to KC and he is one of that small band of people I always knew that I could rely upon to think and do the right thing in all my years running the business. Thank you Jeremy. 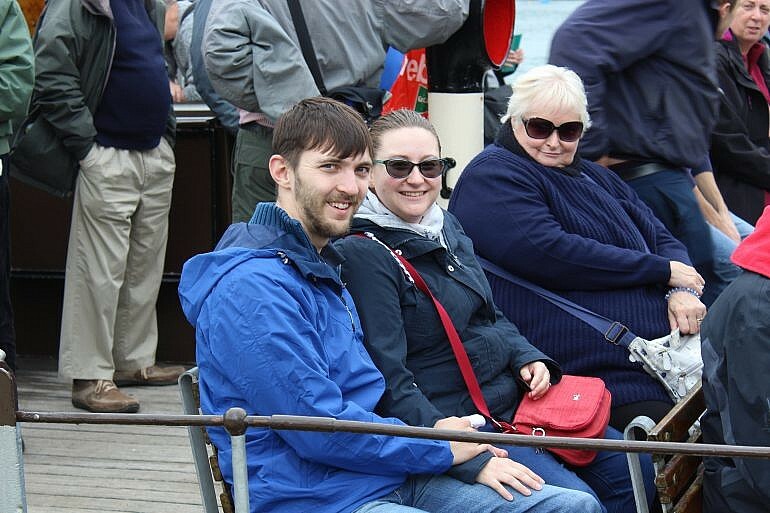 PSKC Trust trustee Tim Corthorn with his fiancé Emma. Tim went to sea, became a master mariner and for the day job is now Deputy Harbourmaster for the Port of London Authority. 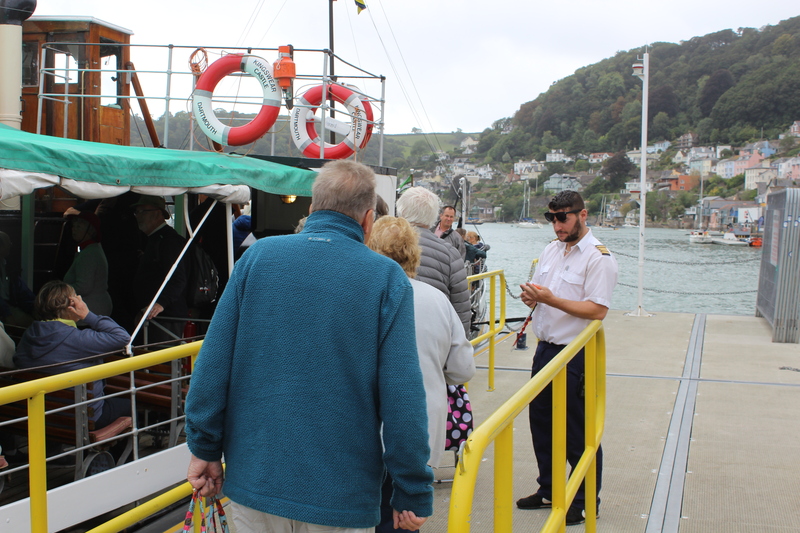 Kingswear Castle skipper Damien Wallace checks tickets. Former PSPS chairman Nigel Coombes gives a cheery wave. 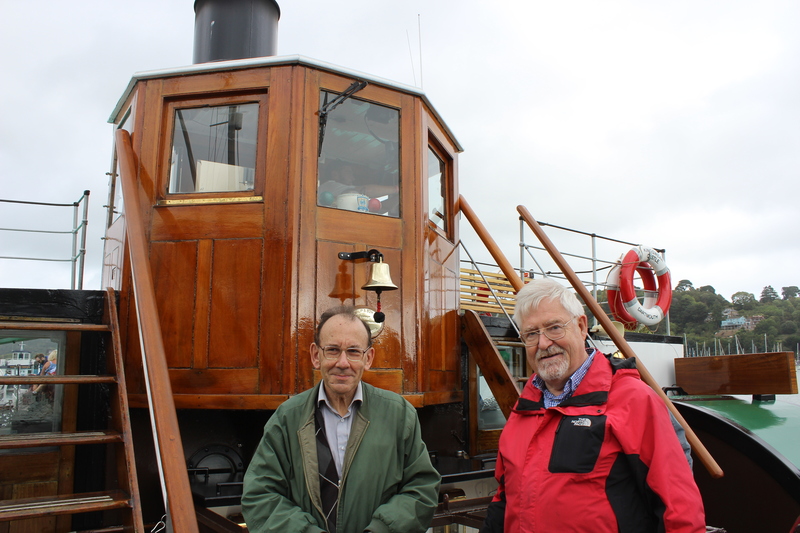 The man in the blue coat is Pat Murrell who has been helping paddle steamers and the PSPS for almost 60 years.